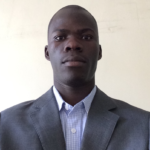 Bob is a telecommunications professional with +10 years’ experience in multi-disciplinary Telecoms/ICT Industry with skills and strengths in Wireless Technologies, Fixed Network Technologies, Project Management, ICT Business Strategy Formulation and Implementation and Internet Governance. He has worked with both large Multinationals and SMEs including BAT Kenya, KeNIC, Telkom Orange, PwC and currently the Internet Corporation for Assigned Names and Numbers – ICANN. Bob holds a Bachelor of Science degree in Computer Science and Technology, an MBA in Strategic Management and is a certified Project Management Professional (PMP) as well as a Certified Cisco Network Associate (CCNA). As the primary representative of ICANN in Eastern and Southern Africa, Bob is charged with developing and executing ICANN’s strategic and tactical objectives in the region.